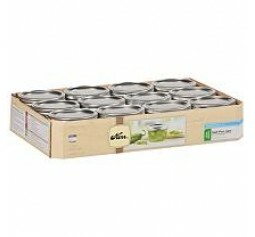 Kerr® Wide Mouth (8-oz / 240ml) half pint. 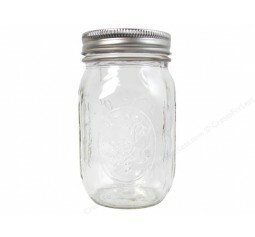 Glass Preserving Jars are ideal for fresh preservingKerr® glass preserving jars go beyond fresh preserving to help you with serving, creative decor and gift giving.Jar SizeMouth size: Wide mouth 86mmWidth: 90mmHeight: 65mmVolume: 240ml ..
Kerr® Wide Mouth (8-oz / 240ml) half pint. 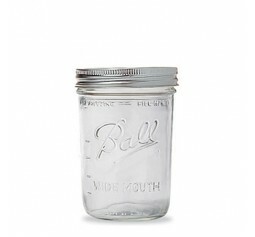 Glass Preserving Jars are ideal for fresh preservingKerr® glass preserving jars go beyond fresh preserving to help you with serving, creative decor and gift giving.Jar Size:Mouth size: Wide mouth 86mmWidth: 90mmHeight: 65mmVolume: 240ml..
Kerr Wide Mouth Half Pint jars 4 x Cases of 12 - 48 jars Used in the PF Tek, the easiest way to grow mushrooms! 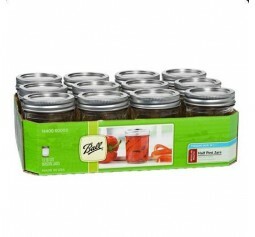 and the best way to start out and learn how to Also Great for other uses centre pieces, candles, canning, jams, LC mixes. Regular mail ..
Aussie Mason Plain 120ml Jars Quilted Jars are ideal for fresh preserving recipes such as jams jellies sauces mustards and flavoured vinegar.The Plain design Allows you to add your own labels and decorative touch to these multi-purpose jars also use them for serving creative decor and gift giving.The jars come complete with a single-use flat lid that has its own inbuilt seal and a reusable screw-on band to hold the lid in place during the preserving process.Jar Size:Mouth size: Regular mouth 68mmWidth: 68mmHeight: 55mmVolume: 120ml ..
Aussie Mason Plain 240ml Jars & Lids x 6 These Jars are ideal for fresh preserving recipes such as jams jellies sauces mustards and flavoured vinegar.The Plain design Allows you to add your own labels and decorative touch to these multi-purpose jars also use them for serving creative decor and gift giving.The jars come complete with a single-use flat lid that has its own inbuilt seal and a reusable screw-on band to hold the lid in place during the preserving process.Jar Size:Mouth size: Regular mouth 68mmWidth: 68mmHeight: 98mmVolume: 240ml ..
Ball® Regular Mouth Half Pint (240ml)Glass Preserving Jars are ideal for fresh preserving recipes such as jams jellies sauces mustards and flavoured vinegar.Ball's famous glass jars and closures go beyond fresh preserving to help you with serving creative decor and gift giving.Jar Size:Mouth size: Regular mouth 68mmWidth: 68mmHeight: 98mm ..
Aussie Mason 68mm mouth (Regular Mouth) 500ml Jars & Lids x 12	They also come in some Limited Edition Colors	These Jars are ideal for fresh preserving recipes such as jams jellies sauces mustards and flavoured vinegar. 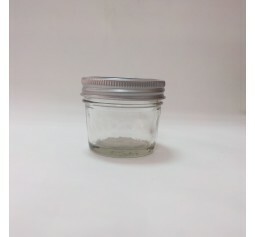 The jars come complete with a single-use flat lid that has its own inbuilt seal and a reusable screw-on band to hold the lid in place during the preserving process. 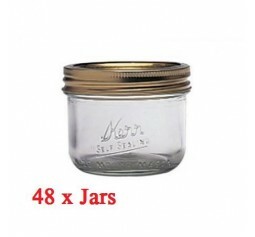 Jar Size: Mouth size: Regular mouth 68mm	Width: 75mm	Height: 130mm ..
Ball® Regular Mouth Pint (474ml) Glass Preserving Jars are ideal for fresh preserving recipes such as salsas syrups sauces fruits and vegetables. 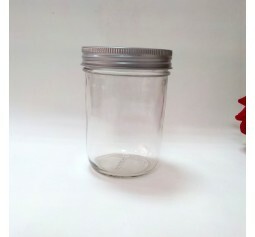 Ball's famous glass jars and closures go beyond fresh preserving to help you with serving creative decor and gift giving. 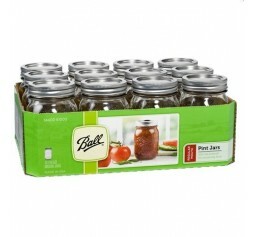 Jar Size: Mouth size: Regular mouth 68mm	Width: 75mm	Height: 130mm ..
Ball® Regular Mouth Pint (474ml) Glass Preserving Jars are ideal for fresh preserving recipes such as salsas syrups sauces fruits and vegetables. 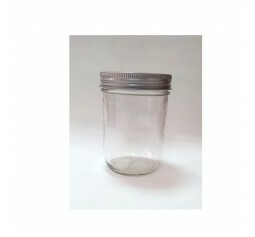 Ball's famous glass jars and closures go beyond fresh preserving to help you with serving creative decor and gift giving. 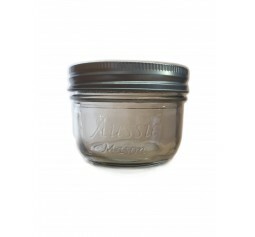 Jar Size: Mouth size: Regular mouth 68mmWidth: 75mmHeight: 130mm ..
New Aussie Mason Wide Mouth (8-oz / 250ml) half pint Glass Preserving Jars are ideal for fresh preservingWith Plain Silver 2 piece preserving lids, these great jars can be used for your favourite jams, sauces and many other productsAlso great candle jarsJar Size:Mouth size: Wide mouth 86mmWidth: 90mmHeight: 65mmVolume: 240ml ..
Aussie Mason Wide Mouth Half Pint jars & Lids x 12 - NEW !!! 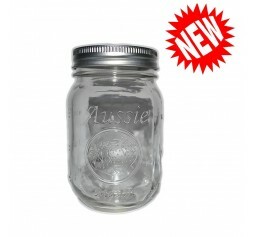 New Aussie Mason Wide Mouth (8-oz / 250ml) half pint Glass Preserving Jars are ideal for fresh preservingWith Plain Silver 2 piece preserving lids, these great jars can be used for your favourite jams, sauces and many other productsAlso great candle jarsJar Size:Mouth size: Wide mouth 86mmWidth: 90mmHeight: 65mmVolume: 240ml..
Half case of 6 X Aussie Mason Wide Mouth Pint Canning jars (500ml jars) Used in the PF Tek & small bulk grain runs Made from Amercan FDA Approved Temperd glass	BPA free	Made from the highest quality flawless glass with a crystal clear finish	Pressure Canning Safe	Freezer safe - with correct headspace allowance These are the best jars for mushroom growing as you can see your mycelium clearly, And the shape of the Jar allows for easy removal of your Cakes / Substrate ..
Aussie Mason Plain 500ml Jars & Lids x 12 These Jars are ideal for fresh preserving recipes such as jams jellies sauces mustards and flavoured vinegar.The Plain design Allows you to add your own labels and decorative touch to these multi-purpose jars also use them for serving creative decor and gift giving.The jars come complete with a single-use flat lid that has its own inbuilt seal and a reusable screw-on band to hold the lid in place during the preserving process.Jar size:Mouth size: Wide mouth 86mmWidth: 86mmHeight: 120mmVolume: 500ml ..
Aussie Mason Plain 500ml Jars & Lids x 6. These Jars are ideal for fresh preserving recipes such as jams jellies sauces mustards and flavoured vinegar.The Plain design Allows you to add your own labels and decorative touch to these multi-purpose jars also use them for serving creative decor and gift giving.The jars come complete with a single-use flat lid that has its own inbuilt seal and a reusable screw-on band to hold the lid in place during the preserving process.Jar Size:Mouth size: Wide mouth 86mmWidth: 86mmHeight: 120mmVolume: 500ml ..
Ball® Wide Mouth Pint (474ml) Glass Preserving Jars are ideal for fresh preserving recipes such as salsas syrups sauces fruits and vegetables. 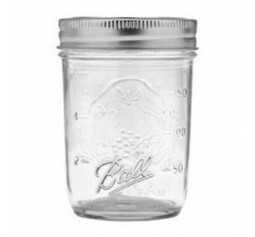 Ball's famous glass jars and closures go beyond fresh preserving to help you with serving creative decor and gift giving. ..